The West Virginia League Services Corporation (WVLSC) was established in 1969 by the League for the purpose of providing fee based services tailored to credit union needs that were not part of the traditional dues based service offerings. Working with national service providers through an endorsement process, the WVLSC has been successful at negotiating fee based services that provide maximum benefits at the lowest price. Each vendor “endorsement” is carefully scrutinized by the WVLSC’s board of directors to ensure the company’s stability and quality of products and/or services. One of the most popular programs provided by the WV League Services Corporation (LSC) is that of assisting supervisory committees with their required annual audits. This “in-house” program works through the Supervisory Committee for both federal and state chartered credit unions and is staffed by individuals well-versed in the operation of credit unions of all sizes. The fee is often less than that of a CPA or accounting firm and provides a much more detailed report for the board to review. LSC staff also provides Automated Clearing House (ACH) Annual Reviews, Bank Secrecy Act (BSA) Annual Reviews, Related Party Account Reviews, Interim Internal Auditing, Surprise Cash Count Verifications, Loan Reviews, Election Ballot Tabulation, Account Verifications (Biannual and Closed Accounts), General Ledger Reconciliations, Internal Control Reviews, Fraud Reviews (Bond Claim Documentation and Forensic Accounting), and change of Key Personnel Reviews. For additional information or to schedule an audit, please call 1-800-642-1946 or 304-485-4521. A trusted longtime partner of the WVLSC, CUNA Mutual Group offers insurance, retirement and investment products that provide financial security and protection to credit unions and their members worldwide. With more than 75 years of true market commitment, CUNA Mutual’s vision is unwavering: To be a trusted business partner who delivers service excellence through customer-focused products and market driven insight. LSC, a subsidiary of the Illinois Credit Union League, has been a long time provider of electronic payment services including prepaid gift cards, travel cards, family cards, and reloadable general purpose cards. The Naperville, Ill.-based credit union service organization serves credit unions in 50 states. In July 2013, ICUL Service Corporation changed its name to LSC to reflect its commitment to serving credit unions all across the country. Their newest offering is a Mobile App Engine that provides access to your members via their Mobile devices. Members not only want to view their account balances using their iPhone, iPad, Droid, or Kindle Fire, they want to see special offers, request loan information, and deposit checks. FedComp has been a business partner of the WVLSC for over 25 years. The company was founded in 1984 by an NCUA compliance officer and a software developer highly familiar with credit unions. FedComp’s signature product, the Platinum core system, is an industry leading in house or online data processing solution for your credit union. Currently installed in nearly 900 credit unions, FedComp can assist credit unions in serving your members by offering the most current and customizable software solutions. United Solutions Company (USC), a Credit Union Services Organization (CUSO) founded in 1983, is headquartered in Tallahassee, Florida. USC provides a comprehensive menu of services to over 85 Credit Unions and Credit Union Shared Service Centers. USC is an Applications Service Provider (ASP) providing online, real-time financial data processing services for Credit Unions and Credit Union Shared Service Centers. Some of these services include: Optical archiving; scanning; online retrieval of (COLD) data and imaging services; and E-commerce services. CU Solutions Group is an award-winning credit union service organization that offers products and services in the areas of technology, marketing and HR performance. These include web services, mobile app solutions, media and creative services, Love My Credit Union Rewards, Performance Pro, Planning Pro and Compease. 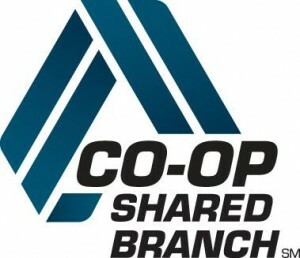 The company is majority-owned by the Michigan Credit Union League and has more than 100 investors comprised of credit unions, credit union leagues and credit union system organizations. Headquartered in Livonia, MI, the organization has served more than 3,400 clients nationwide and has strategic partnerships with Sprint, Intuit TurboTax®, Gas Station TV and CU Vendor Management. For more information, visit CUSolutionsGroup.com. Founded in 1969, Palmetto Cooperative Services, LLC, is a credit union service organization (CUSO) that provides support services to credit unions. Pioneers of share draft processing and Check 21 imaging systems, for more than 40 years PCS has been a recognized leader in statement/notice printing and electronic services. In 2011, Irmo, SC-based PCS and Georgia-based Cooperative Services Inc., both similar-sized providers of payment systems to the credit union industry, merged their item processing operations to form a new subsidiary called PCSi. This strategic move allowed them to double our volume, increase efficiencies and pass along savings to customers. Today, PCS and PCSi are stronger than ever currently serving more than 437 credit unions and financial services entities in 22 states including West Virginia.